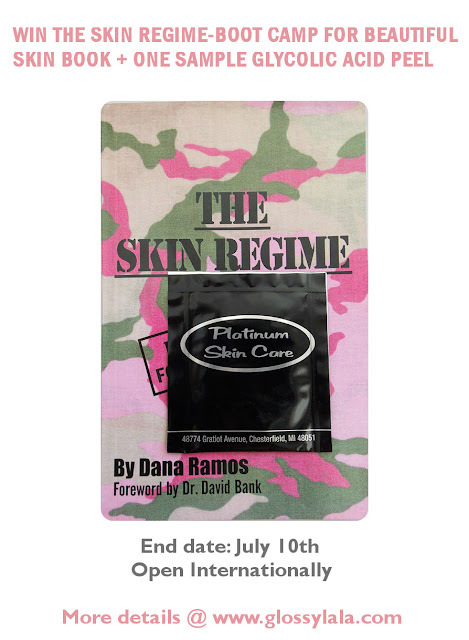 The Skin Regime by Dana Ramos + Giveaway Open Internationally - Be Glossy In and Out! I was sent a book named The Skin Regime – Boot Camp for Beautiful Skin written by Dana Ramos as well as a sample of a glycolic peel to test out. Dana Ramos is a professional skin care guru, beauty expert, and a writer from New York. 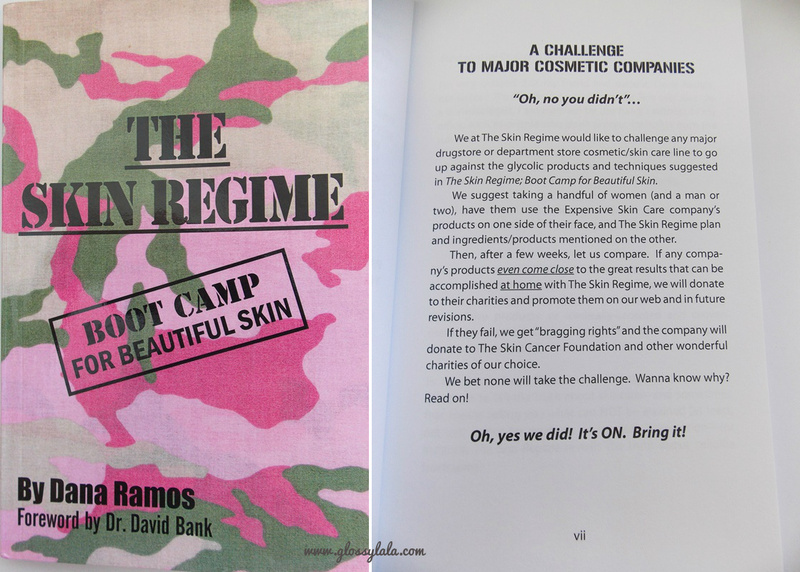 This book presents the truth about skincare and the lies from the beauty industry. 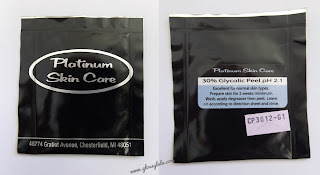 Bottom line--You CAN reverse sun damage and aging and get fabulous skin with a routine you create at home, using inexpensive products available at drugstores or on-line. Why most products are junk and a huge waste of time and money. Direct and humorous, the book instructs how to create a personalized regime based on products and advice most dermatologists recommend for their patients. The truly skin-transforming ingredients that really work to make gorgeous skin. You won't find the truth in beauty magazines because they exist to advertise lotions and potions made by the over-priced cosmetic industry. 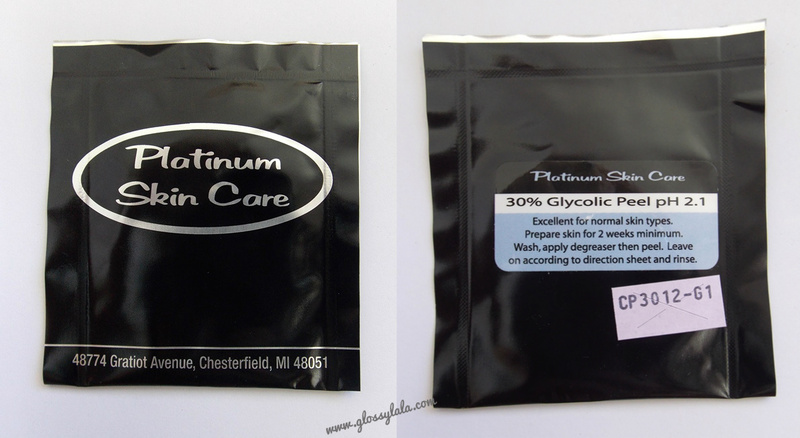 At a fraction of the cost, and spending only minutes per week, you can get similar or better results using some of the exact ingredients dermatologists use and recommend to their patients-such as glycolic acid, tretinoin creams, and other cosmeticals that really get the job done. Five percent of book revenues is being donated to The Skin Cancer Foundation (skincancer.org). Visit TheSkinRegime.com and read the first 30 pages of the book for free!!! *I advice you to read the book for all the necessary details before using the peel! One lucky reader will win a copy of Dana Ramos` book and one sample Glycolic Acid Peel. Just complete the Rafflecopter form below. The Giveaway will end 10 of July. IT IS OPEN INTERNATIONALLY. The winner will be chosen randomly. *UPDATE: The winner is...Bidisha Banerjee. Congratulations!! What a great post. Although I fall for it over and over, I'm sure most department store cosmetics are probably filled with more fillers than actual products that work. Great post! will check it out. I would love to win this.Thanks for all the great info in your post.I enjoyed it.